Fits almost ALL 3.5-7.0 inch Smart Phones, GPS other Mobile Devices , including iPhone, iPod, Samsung Galaxy series, HTC, Blackberry, GPS, Game devices, etc . 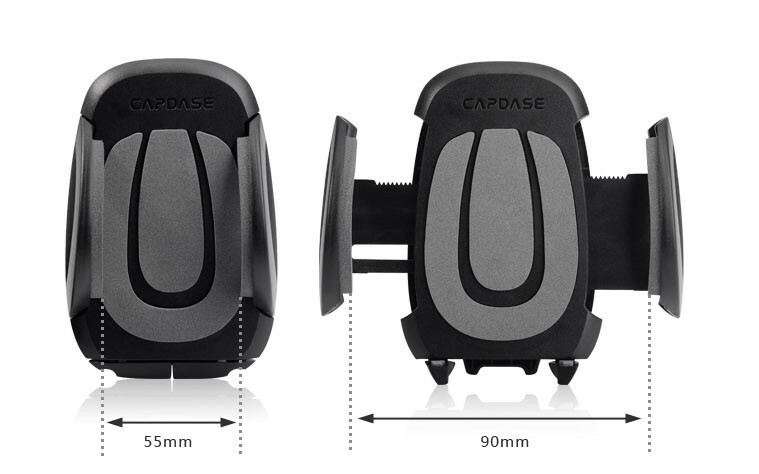 The clamp also comes with 2 support feet to stabilize your device, and elastic sponge layer to protect your device from scratches. The bracket Auto Button will extend the clamp mechanically and can be stopped by a paused button. Made of environmental ABS rubber and plastic material, sturdy and shiny on the surface. Decent gift for friends, families, etc. Online purchases require flexibility and support. Wanpool.com understands that and wishes to create a satisfying and enjoyable shopping experience for you. For products that don’t fall within the Product-Specific policies You may return your item by contacting Customer Service and requesting a return within 7 days of receiving your order. If we shipped you a defective or damaged item: You are eligible for a full refund or exchange. When requesting your refund, please be ready to provide Customer Service photographs clearly showing the problem with the item and its courier number as soon as possible. If you believe your item was damaged during shipping, Customer Service will need photographs showing the damaged packaging as well as "Proof of Damage" documentation to process your exchanging or refund. Alternatively, you can open the item in front of the delivery person and if you find that it was damaged during shipping, you can reject it. LightInTheBox will then ship you a new item immediately. Beyond the general policies above, we have Product-Specific policies with further details that apply to the following categories: Electronics, Weddings & Events, Faucets, MiniInTheBox Items, Wigs, Makeup, Tattoos and Body Art, Women’s Fashion, Cosplay & Anime Merchandise, Wall Art, Lights, and Curtains. For information on how to request a return, please refer to individual item web page. Many orders can be cancelled at no charge up until shipment. When your order ships, you’ll receive an email entitled "Shipment Notification for order#XXXXXXX with wanpool.com." Orders that have already shipped cannot be cancelled and will be treated as returns. Exceptions: Due to the customized nature of Weddings & Events, Wigs, Women’s Fashion, Wall Art, and Costumes/Anime items, we only allow cancellations within the time frames listed in the Product-Specific policies below. Beyond the time limits, restocking/processing fees may apply to cancellations in these categories even if the order has not shipped. Please see the Product-Specific policies more details. To cancel an order, please Sign in to My Orders, select the order you need to cancel, and request a cancellation. For information on how to cancel an order, please contact our customer service. Some products will have a FREE SHPPING option. We’ll ship your items free, choosing the shipping method best suited to the package size and your shipping destination. // We typically ship within 48 hours of receiving payment. // We ship this item via UPS to U.S.A. addresses in the contiguous 48 States. // For an additional $10 fee, we will ship to Alaska, Hawaii and Puerto Rico. Please note that delivery will be via US Mail. // Delivery to the U.S.A. contiguous 48 States via UPS is typically 3 to 5 business days. For shipments to Canada via US Mail, shipment can be up to 14 business days. // We ship to a physical address only, please inform us a physical address if the paypal address is a P.O Box address. // We are NOT responsible for any Customs Fee, Customs delay or Import Tax. 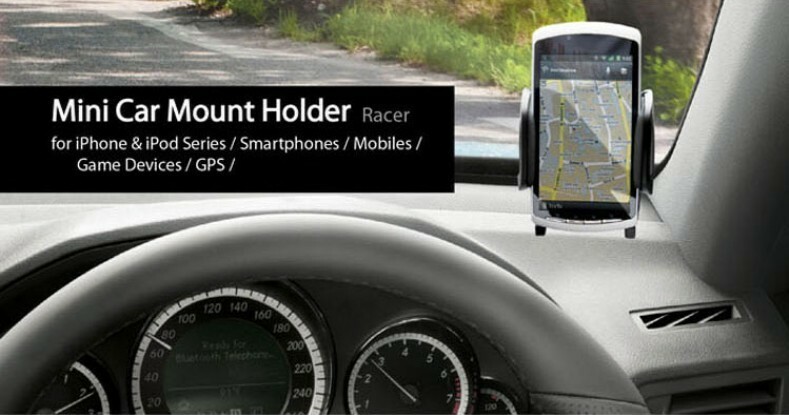 I bought this to hold my S4 to the car as a trackday telemetry and video recorder. After receiving mines, I liked it so much I bought one for my wife. It will stick to smooth surfaces as well as textured dashboards. It is very sturdy and the clamp style grip allows it to work with many devices. I'm almost thinking of getting another for my other cars as well. The mount seems to be of quality plastic and hasn't shaken itself apart yet so I suppose that's a good thing . Good design and quality, recommend. I tried attaching this mount in a couple of places, and it worked very well both time. The first time I tried right on the top of the dash. That worked great, but of course being a Note2, it was very large and drew a lot of attention. So after a couple of days I figured I needed to move it. The next spot went above the glove box on about a 60 degree incline. I feared that this might not hold here, being such a vertical surface and it being a second application. But, it has held there for about a month with no problem. Not only has the mounting suction worked well, but the unit positioning mechanism does its job nicely, too. I can lock it down if I want, but currently I have it just tight enough so that I can move the phone around a bit when I want. Even at that tension level, the phone doesn't migrate from the position that I place it during driving. Great product!! The Note II is a really heavy phn and this product holds it steady. I've moved it around on the windshield multiple times and the suction is still great! 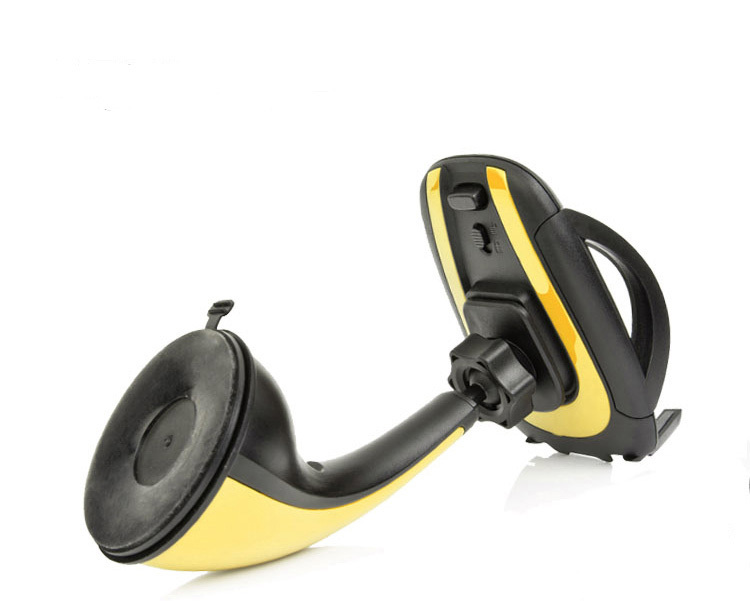 I bought this universal windshield cradle primarily because of my experience with other Capdase products being such a great value -- I wasn't disappointed. 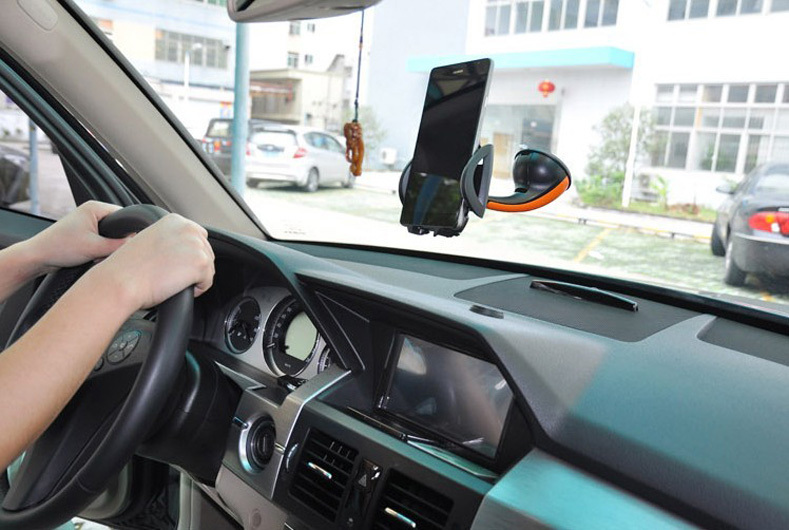 I have been very impressed with the quality and ease of use, but mostly the fact that the suction cup has stayed on my windshield for a few weeks now without coming off. Granted, I don't usually put my Samsung Galaxy S3 in the cradle unless I'm using it as a GPS with Google Navigation, but the few times I have, it has been easy to adjust and position and stayed in place. It's a great product at a great price. I love the idea of a clip. 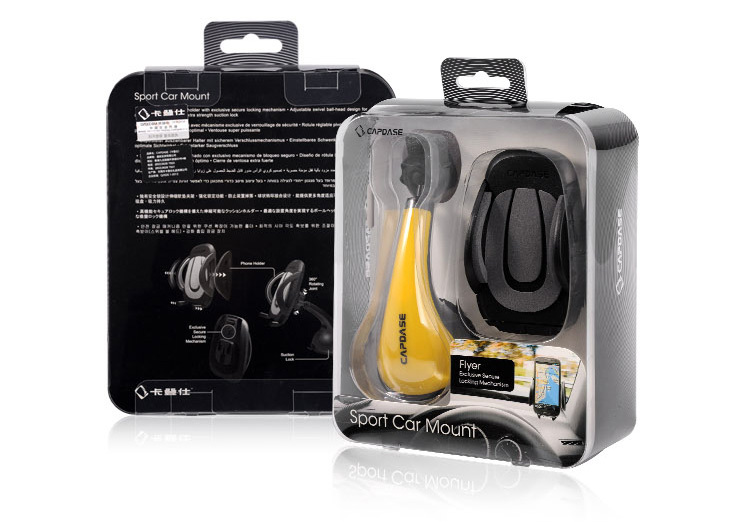 The product came in a very nice package that is simple and good protection. I've only used a few times and so far so good! Very satisfied with it.